The Tempodrom in Berlin has become one of the most sought after venues on the circuit. Germany has moved one step closer in its search for a “snooker Boris Becker”, as a nation brimming with enthusiastic spectators finally has what it’s been longing for: bright prospects to support on the professional circuit. The responsibility of maximising Germany’s snooker potential rests on the shoulders of Essen-born Lukas Kleckers, 22, and Berlin’s Simon Lichtenberg, 20, fresh-faced players with a combined age younger than the current World Champion. When the World Snooker Tour heads to Nuremberg-neighbouring Fürth for the Paul Hunter Classic at the weekend, local fans will have two budding professionals to support. Something they’ve never had before. 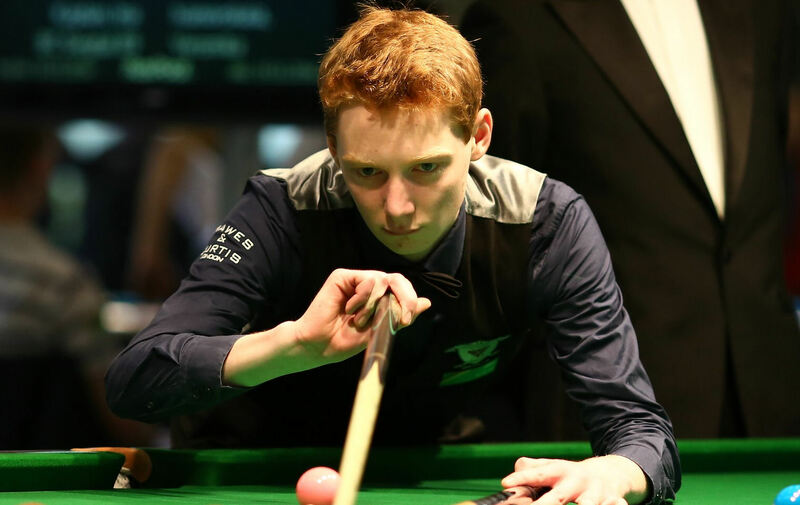 Germany’s fascination with snooker spiked when Kleckers burst onto the scene with a surprise victory over Neil Robertson live on television at last year’s Riga Masters, and rookie compatriot Lichtenberg is looking to produce a similar statement as he tastes tour life for the first time following triumph in the EBSA European Under 21 Championship. Victory in Sofia, Bulgaria saw Lichtenberg become the first German to join an elite line of European Youth Championship winners, which includes Belgium’s top 16 talent Luca Brecel, who became a ranking event winner at the age of 22. If Lichtenberg or Kleckers were to rise to the very top, Germany’s snooker jigsaw would be complete. The absence of a top 32 player is perhaps all that has prevented participation numbers from growing quite as quickly as live and television audiences. “I hope that young people watch me and Lukas and are inspired to pick up a cue back home – that would be a great thing,” said Lichtenberg. “German people want to improve fast, and snooker is not something you are instantly good at. Because of this, I think the success of Lukas and I is even more important. Though snooker is by no means a new product in Germany, with four German Open tournaments hosted in Frankfurt, Osnabruck and Bingen am Rhein in the late 1990s, the people’s intrigue in cue sports experienced a second wind in 2011, when the nation’s signature event relocated to Berlin, rebranded as the German Masters. 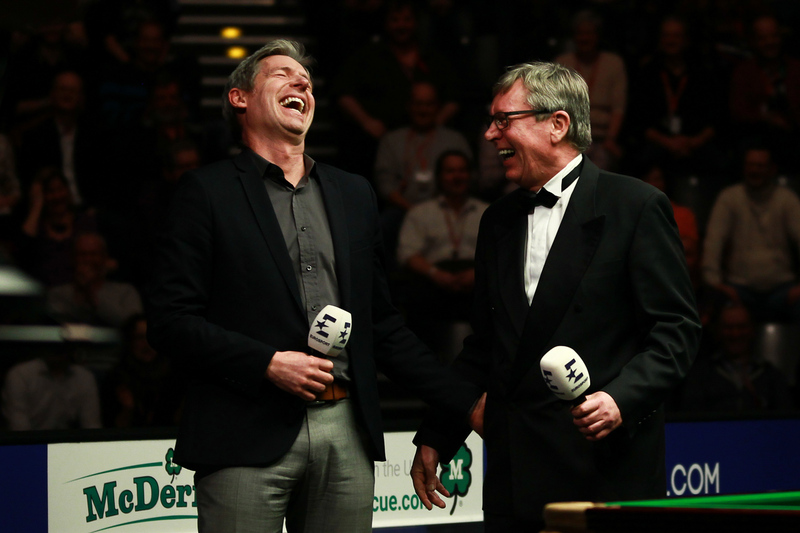 “We were all quite nervous,” said German snooker’s most recognisable figure, Eurosport commentator and MC Rolf Kalb. “We all worked together to make (the first German Masters) a success, and at the end of the day when everyone was leaving happy, we were hugging each other. “The secret of snooker’s success in Germany is that it is different. “People discover it late at night, zapping through channels and finding Eurosport. They expect players in shorts and then they find gentlemen wearing waistcoats. It’s in that moment that we can catch them and make them regular watchers. “The German Open events came too early. The fanbase wasn’t there at that time. “Regular coverage on Eurosport changed everything. Fans are hungry to see the players in person and it’s a very healthy growth. 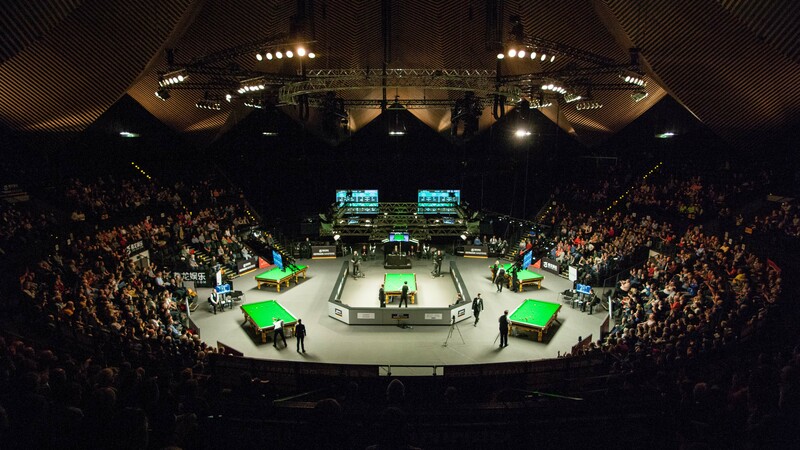 The venue for the German Masters since 2011, the Tempodrom – in some minds, second only to Sheffield’s Crucible Theatre – provides a visually stunning, acoustically impressive cauldron of entertainment. German Masters final night is undeniably a highlight of the snooker calendar, and Tempodrom spectators – enthusiastic and informed – don’t need telling so. “I have goose pimples standing in the middle of the arena,” said Kalb. “It’s so high and steep. You see this wall of people but you don’t see where it ends. 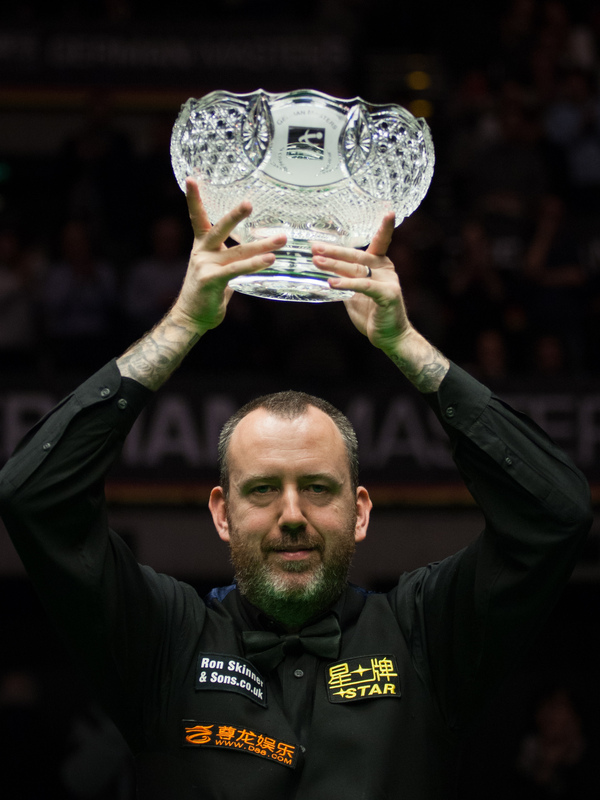 An exceptional atmosphere greeted Mark Williams, the inaugural winner and now reigning champion, as he clashed with Graeme Dott for the prestigious title in February. After dismantling Dott 9-1 in a precursor to World Championship triumph, Williams lauded an “unbelievable” crowd on a memorable night which left the snooker world pondering where a remarkable comeback season might lead. Imagine the buzz if a Berlin-born talent made the final. “I can’t wait to play in the German events,” said Lichtenberg. “I’ve been to the Tempodrom live of course, and it’d be extra special to play there for me as Berlin is my home town. Snooker is a unique sporting entity in Germany, where physicality rules the roost; football, ice hockey and basketball are the popular pursuits. “It’s the tactics of snooker they love,” said Lichtenberg. WPBSA Chairman Jason Ferguson is excited about the impact two professional players could have in Germany, a nation unrepresented on the World Snooker Tour when he competed in the German Opens of 1996 and 1997. Ferguson said: “These guys aren’t just making up the numbers, they’re both world class players. To see them breaking through is really exciting for German snooker. “Germany has shown great promise for quite some time. We’ve seen huge, passionate audiences but what we haven’t seen is participation at the same level – the answer is local heroes like Simon and Lukas. “It’s new ground for them – they’re young and enthusiastic. They’re playing against world champions and players who have been around for years. It takes time to settle in this sport but these guys will learn, become more confident and more relaxed on the world stage. If the two German prospects are to succeed on tour, they must overcome a geographical barrier. While practice partners are plentiful in the UK, it is quite the opposite in Berlin, where Lichtenberg lives with his girlfriend. “There are very few players to play with in Germany, and that’s something I’d love to see change,” said the 20-year-old. Establishing yourself on the World Snooker tour takes time, as well as talent, dedication and a cool head. It’s a rare formula, but there is certainly no doubting the commitment of Lichtenberg, who for a time was juggling snooker with a degree in economics but has since dropped ‘plan b’ in order to maximise his chances of fulfilling his snooker potential. “I’m fully focused on snooker now,” said the European Under 21 Champion. “I’m not setting huge expectations but of course the aim is to be in the top 64 in two years’ time. Lichtenberg’s ambitions are modest, but there is a real possibility that he and Kleckers could lead a major movement in snooker; an opportunity the rookie is embracing. “A tough school” the World Snooker Tour might be, but Germany now has two willing students for the first time and, though graduation is a long way off, their existence on the circuit alone is reason for celebration.